Folding bathroom support bar can make the difference between needing help in the bathroom and complete bathroom independence. Help promote your loved ones independence by providing stability for the elderly and handicapped when sitting or rising from the toilet or bed. 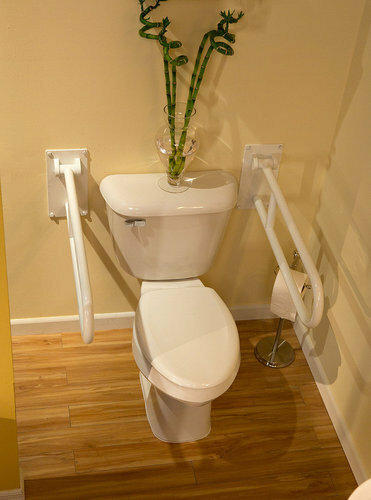 This support bar can be installed next to a toilet or next to a bed to provide extra support for those who find raising from a seated position difficult. Since these support bars can fold up when not in use, they are ideal for areas with limited space or for multi-user bathrooms. These bars are capable of supporting up to 150 KG.